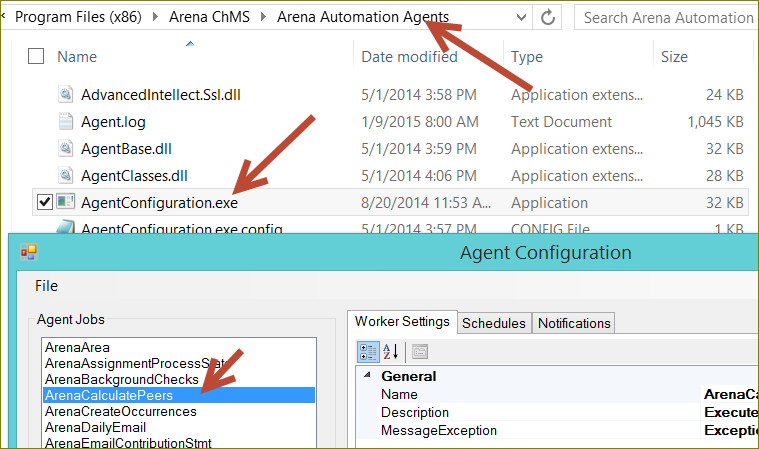 Arena has five separate peer type stored procedures. You can configure each one separately. •Relationship Types – Use this Peer Type to calculate strength for Relationship Types. •Group Leaders – Use this Peer Type to calculate strength for Group Members and the Group Leaders. •Group Peers – Use this Peer Type to calculate strength for Group Members. •Tag Owners – Use this Peer Type to calculate strength for Tag Members and Tag Owners. •Tag Peers - Use this Peer Type to calculate strength for Tag Members. Before creating the individual peer types, start the Calculate Peers Agent.